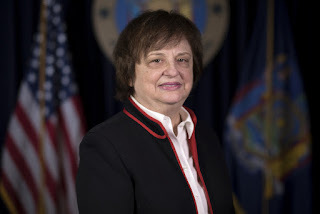 NEW YORK, N.Y. -- New York Attorney General Barbara D. Underwood – leading a coalition of 20 Attorneys General – filed an amicus brief seeking to protect Deferred Action for Early Childhood Arrivals (DACA) grantees. The brief was filed in Texas v. United States, a case in the District Court for the Southern District of Texas, in which certain states are challenging the lawfulness of the DACA policy. The brief was led by the Attorneys General of New York and California, and was joined by the Attorneys General of Connecticut, Delaware, Hawai'i, Illinois, Iowa, Maine, Maryland, Massachusetts, Minnesota, New Mexico, North Carolina, Oregon, Pennsylvania, Rhode Island, Virginia, Vermont, Washington, and the District of Columbia. "Federal courts from coast to coast have made clear: rescinding DACA is illegal and would cause irreparable harm to New York and states across the country," said Attorney General Underwood. "DREAMers play by the rules, work hard, and pay taxes – and America is the only home they've ever known. DACA has provided them with a chance to come out of the shadows and live full lives, making our communities and our state better places for us all. We've already secured a major court win in our lawsuit earlier this year, and our coalition of Attorneys General won't stop fighting on behalf of those we serve." New York is home to nearly 42,000 DACA grantees; there are approximately 800,000 DACA recipients across the country. According to the Center for American Progress, 97 percent of DACA grantees are employed or go to school; they pay $140 million annually in state and local taxes in New York, as the Institute of Taxation and Economic Policy has detailed. The brief filed by the Attorneys General argues that the Texas plaintiffs cannot make the legal showing required to obtain a preliminary injunction, and that the requested preliminary injunction should not be granted because it would conflict with the two existing preliminary injunctions issued by courts in the Northern District of California and the Eastern District of New York. Specifically, the brief argues that the Texas plaintiffs cannot show a likelihood of success on the merits or that they will be irreparably harmed if DACA is not enjoined; and that the balance of the equities and the public interest weigh against granting the Texas plaintiffs' requested preliminary injunction. As the Attorneys General detail in their brief and prior lawsuits in defense of DACA, rescinding DACA wouldn't just devastate the lives of the grantees who rely on the program; it would also harm employers and educational institutions that depend on the contributions of the DACA grantees, including state employers and state institutions – as two district courts have already concluded, noting that the States would suffer "staggering" and "irreversible" economic and social harms. The loss of work authorization by DACA grantees would deprive the amici States of highly qualified employees, including faculty at state universities, nurses, information technology specialists, and public safety officers. State-run educational institutions would lose students and revenue, hindering their ability to promote critical programming. Additionally, state and local governments would lose out on the hundreds of millions of dollars in state and local taxes that DACA grantees pay each year. According to the Center for American Progress and the Immigrant Legal Resources Center, without DACA, the Gross Domestic Product would be $460.3 billion less over the next decade, while Social Security and Medicaid tax receipts would drop $24.6 billion. "As two district courts have now found, ending DACA would injure the amici States as employers, providers of health services, and proprietors of public universities. It would also cause the amici States to lose many millions of dollars in tax revenue," the brief states. "In contrast, the harms asserted by the plaintiff States are either illusory or result from factors other than DACA, such as the mere presence of undocumented immigrants or the ancillary consequences of deferred action under decades-old federal regulations and policies. Indeed, the federal government began DACA in 2012, yet plaintiffs waited until 2018 to file this suit—a delay of nearly six years that undermines any claim of immediate, irreparable injury warranting a preliminary injunction. The nationwide injunction that plaintiffs seek is inappropriate for other reasons too: for example, that injunction would directly conflict with preliminary injunctions that two separate district courts have issued in favor of the amici States after rejecting DHS's claims that DACA is unlawful."